McFarland Designs - Ethical Jewelry Using Fair Trade Stones and Recycled Metal: Happy New Year! Wow! T! You are super talented!!! 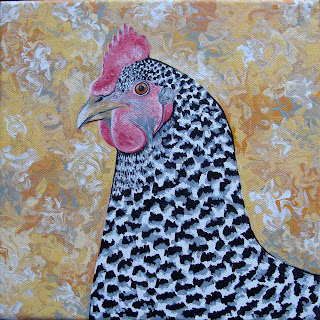 Are you going to start selling your animal art? I think it would be awesome. I love it! Thanks! I think I'd like to try selling them but I don't know if I should set up a separate Etsy shop (and if so, what to call it? ), and I don't know how to price them... I'm mulling these things over. :-) Feel free to chime in! I think your pricing is fine (I just had a look at your new Etsy shop) and it's a good thing to keep your artwork separate from your jewelry. Did you take painting lessons? Your work really looks professional! I've never had any formal training in painting, but I've always loved experimenting with different arts and crafts.